It can be quite challenging to juggle your child’s schedule, especially when doctor’s appointments are involved. General and cosmetic dentist Robert Wilcox, DMD at Robert F. Wilcox, DMD, PC in Butte, Montana knows that great pediatric dental health matters to you. That's one reason Dr. Wilcox has made a career serving men, women, and children at all stages of life. You need a dentist that can make sure your child receives great dental care. Book an appointment online or call Robert F. Wilcox, DMD, PC today. What can pediatric dentistry offer? At Robert F. Wilcox, DMD, PC, Dr. Wilcox and the staff care about your family’s individual needs. They know stress-free dental care is important to you and your family, and they’ll work with you to provide just that. Whether your child is a toddler or a teenager, you don’t have to worry: Dr. Wilcox is an expert at treating the dental health concerns of children of all ages and needs. 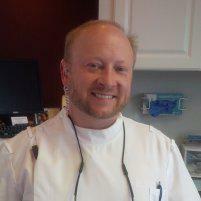 Training in nearly every aspect of oral care makes Dr. Wilcox an exceptional pediatric dentist for all stages of life. A dentist can ensure your children’s mouths stay healthy throughout their lives. The sooner you can bring them in, the healthier their mouths will be. According to the American Dental Association and the American Academy of Pediatrics, every child should get a dental checkup by age 1, or as soon as their first tooth comes in. In addition, the sooner your children get dental sealants, the better. Dental sealants are thin plastic coatings that dentists apply to the chewing areas of teeth in order to keep out food particles and bacteria that could lead to tooth decay. They’re essential to preventing kids from developing cavities at an early age and having to get a filling or crown. Dr. Wilcox knows that exceptional oral health starts early and understands that your kids need to feel safe and comfortable at the dentist. A friendly atmosphere is essential! Come into Robert F. Wilcox, DMD, PC’s waiting room and the first things you’ll see are toys and TVs to keep your child entertained while you wait. Dr. Wilcox’s warm chairside manner will create an enjoyable, relaxing experience for your child and encourage good dental health as they develop. For the most effective protection of the nooks and crannies of their teeth, your child should get dental sealants applied to their teeth between the ages of six and 14. This is the best age because it’s around this time that the permanent molars and premolars grow in. Orthodontics may straighten crooked teeth and improve your bite by correcting a misaligned jaw. It’s critical to take care of orthodontic concerns during adolescence or childhood years to avoid problems later in life. Optimal results may not be possible once your child’s face and jaws have finished growing. Robert F. Wilcox, DMD, PC also offers orthodontic services to correct problems with your child or teenager’s teeth. Dr. Wilcox offers office hours into the early evening for added convenience, so your child doesn’t need to miss school for dental or orthodontic appointments. For a skilled general dentist who can treat your child, make an appointment online or give Robert F. Wilcox, DMD, PC a call today.